The’re a bunch of new K-dramas arriving this month but not until the end of April, and the first of those will be KBS Wed-Thurs arrival Suits taking over from Mystery Queen 2. 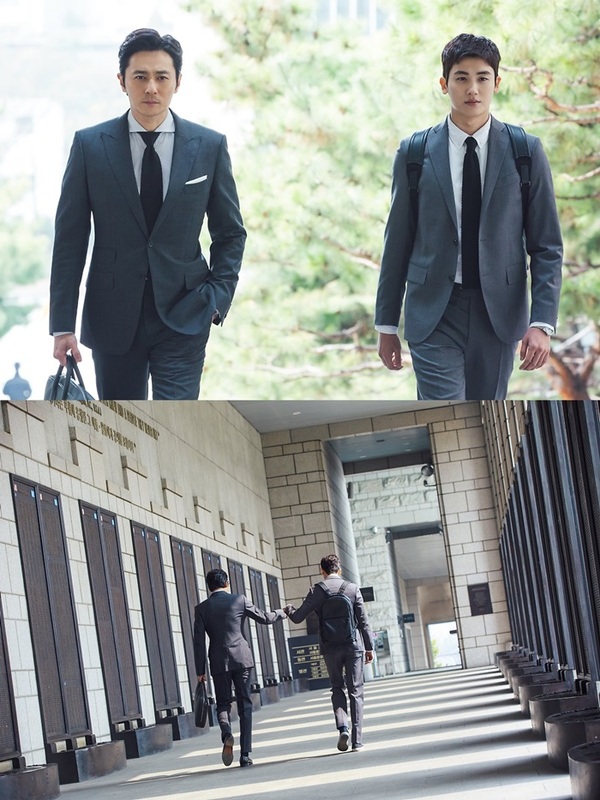 The drama released a full cast poster adding the supporting leads to the male bromance duo of Park Hyung Sik and Jang Dong Gun, giving them an Entourage style vibe interspersed between the read turned letters of the drama title. The latest teaser finally shows off scenes from the drama and it’s more stylish than I expected, or maybe I should have been aware the vibe would be like if the leads were running a martini bar but instead were working for a law firm. I didn’t want the original US show Suits but recently just marathoned legal J-dorama 99.9% Criminal Lawyer which I loved so I’m totally in the mood for more legal fare and Suits will hopefully fit like a glove. Park hyung sik looks so good. I’m convinced. The editing of the teaser is amazing! The teaser leaves me a bit underwhelmed. This two actors combination is good. This teaser looks so boring, I don’t know why, maybe I’m only one who thinks so. Gorgeous men in fine suits, and with the acting chops, too. Will definitely watch this. Just hope storyline, plot makes sense throughout the drama.